Until Health Canada chooses to honour its commitment to the auditor general, the FDA and OHRP may be the only health sheriffs in town. Imagine, if you will, being enrolled in a clinical trial and researchers failing to inform you that you had a higher risk of death depending upon which of the two groups in the trial you were assigned to -- that renal failure or stroke were just two of the possible side-effects of one of the treatments, or that one of the groups might not receive patient care to the highest levels available. Incredibly, part of that trial was happening right here in the province under the nose of the B.C. government at the University of B.C., St. Paul's Hospital, and the Vancouver General Hospital. In layman's terms, it involved sticking a catheter into the lungs of patients suffering from acute respiratory distress syndrome and injecting additional fluids into their lungs to manipulate lung pressures to determine which treatments had higher and lower death rates. U.S. authorities suspended the trial -- sponsored by the U.S. National Heart, Lung, and Blood Institute (NHLBI) -- in 2002, when investigators first raised concerns that one of the two patient groups in the trials did not receive care according to the "best current standard of practice." OHRP -- an office of the U.S. Department of Health and Human Services -- is responsible for "the protection of the rights, welfare, and well-being of subjects involved in research conducted or supported by the U.S. Department of Health and Human Services." In their letter to the university, OHRP highlighted serious concerns with the patient consent document in use for the NHLBI study. Most notably, that it failed to include death as one of the risks of the research: "the informed consent document did not include a statement that the subject could have a higher risk of death depending on which of the experimental groups he or she was assigned to." Additionally, OHRP noted that "although the informed consent documents stated that subjects assigned to the fluid conservative management group might experience inadequate organ perfusion, there was no mention that this could result in renal failure, ischemic brain injury, cardiac ischemia, or other end organ damage." While the University of B.C. said in 2004 that it had made "major improvements" to its ethics review process following the NHLBI study, OHRP flagged compliance issues with university officials in 2009 and again in 2010, following what the university called "an OHRP audit." In May 2009, OHRP wrote the university requesting that it "conduct an evaluation of its system for protecting human research subjects to ensure that it is in compliance with Department of Health and Human Services regulations for the protection of human research subjects." They pointed to concerns over how minutes were recorded at meetings of the university's research ethics board, that provisional approval could not be given to clinical trials, and that reporting procedures in place for unanticipated problems with trials were insufficient, as was the oversight of some trials. In January 2010, they followed up with a second letter: "We have reviewed the UBC (Research Ethics Board) policies and procedures and we have determined that they do not provide sufficient details for the procedures required by HHS regulations," including "ensuring prompt reporting...of any unanticipated problems involving risks to subjects or others." UBC's Office of Research Services submitted an additional report with "corrective actions" two months later, and is considered to be compliant with U.S. regulations as of April 2010, after OHRP concluded that the university's actions adequately addressed their concerns. In 2010, a total of 223 studies at the university were funded by the department. And, according to the U.S. government's spending.gov website, since 2010, the Department of Health has awarded $43.6 million in grants and contracts to researchers at the university. But the university wasn't the only institution in the province on OHRP's radar screen. In 2001, OHRP wrote a compliance letter to the chief executive officer, Murray Ramsden, of what was then the Okanagan Similkameen Health Region. Today, it's the Interior Health Authority. All of the letters, including the 2001 letter, were addressed to Ramsden. In a 4-page letter in December 2007, OHRP found that the authority's Institutional Review Board (IRB) did not have "written procedures" to adequately describe five activities, including "the procedures which the IRB will follow for its continuing review of research, reporting its findings and actions, and reporting any unanticipated problems involving risks to subjects or others." OHRP required that corrective be taken to insure that the terms of reference for the authority's IRB were also compliant with the U.S. Department of Health's regulations that a quorum of an IRB be composed of a majority of its members and not a minority of the members as was the authority's practice. The letter noted that the revised Terms of Reference -- which the authority had promised for September 2007 -- still hadn't been received by OHRP three months later. The authority was given a two-month extension. In its June 2008 letter to the authority, OHRP wrote that "HHS regulations require that continuing review of research be conducted by the IRB at intervals appropriate to the degree of risk, but not less than once per year." The letter noted that the authority had "failed to conduct continuing review of research at least once per year for the protocol "Albumin in Acute Stroke: ALIAS." OHRP had raised that issue -- review frequency -- as early as 2000. By September 2008, OHRP was satisfied that the authority had taken sufficient "corrective actions" to be in compliance with U.S. regulations. The issues flagged by OHRP at both the University of B.C. and the Interior Health Authority point to serious flaws with Canada's medical research policies, not the least of which is that there's little oversight of clinical trials in Canada by Canadian authorities and what little there is, is a closely-guarded secret. There are 4,000 drug trials underway in Canada at any given time. Health Canada only started inspections in 2002, with a goal of inspecting two per cent of the trials each year. It still hasn't met that target. Since then, they've identified critical problems with 33 clinical trials across the country. But unlike OHRP and the U.S. Food and Drug Administration, they won't say where or what those issues are. By way of comparison, between October 2008 and March 2014, the FDA has conducted more than 950 inspections in Canada, 130 of them in B.C. Details of those inspections are publicly available on the agency's website. The FDA identified "significant objectionable conditions or practices" where "regulatory action (was) warranted to address lack of compliance" at eight of its inspections in the province. Despite the fact that Health Canada agreed with the federal auditor general's 2012 recommendation for the department to "fulfill its long-standing commitments to enhance public access to information on authorized clinical trials, including the results of its clinical trial inspections," they still haven't done so. 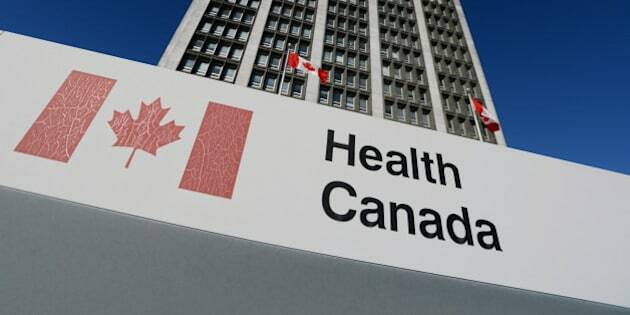 Last July, when the Toronto Star asked for the results, Health Canada refused, saying that providing records "would require an exhaustive manual paper file review." While OHRP does provide vigorous -- and transparent -- oversight of clinical trials in B.C. that the U.S. Department of Health funds, there is a risk that some of their regulations may be influenced by the U.S. political system, where Big Pharma's cash and lobbyists carry even more clout that they do in B.C.